Looking for answers on getting an annulment or divorce? 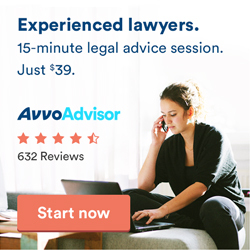 Ask a lawyer right now! Underage Marriage – marrying while a minor. The legal age for marriage is 16. If you sought and received permission to marry while below age 16 from a circuit court judge, you most likely lose the right to claim underage as a ground. A parent or guardian can file for annulment on behalf of a married minor. Incurable Insanity – Your spouse has no hope of recovering can permit an annulment. If the insane person recovers during the marriage and continues to live with the other spouse, insanity is lost as a ground. You must file a Complaint for Annulment in the circuit court of the county where either you or your spouse currently lives. Required information includes full details of each spouse, the details of any children, and whether or not you request that the court decide issues surrounding child support, child custody, alimony, visitation or division of marital property. One of you must have lived in Tennessee for at least 6 months. File your complaint in the circuit court clerk’s office and serve your spouse with a copy of the complaint. The court will schedule a hearing, where you must prove with evidence and witnesses (if needed) that your grounds are valid. If the court agrees with you, it will issue a judgment for annulment. The state also has a provision in code for any other reason the marriage was not binding as a ground for annulment, leaving open the possibility of the court accepting a reason other than the above.